Ever wondered what to do with leftover broccoli stems? 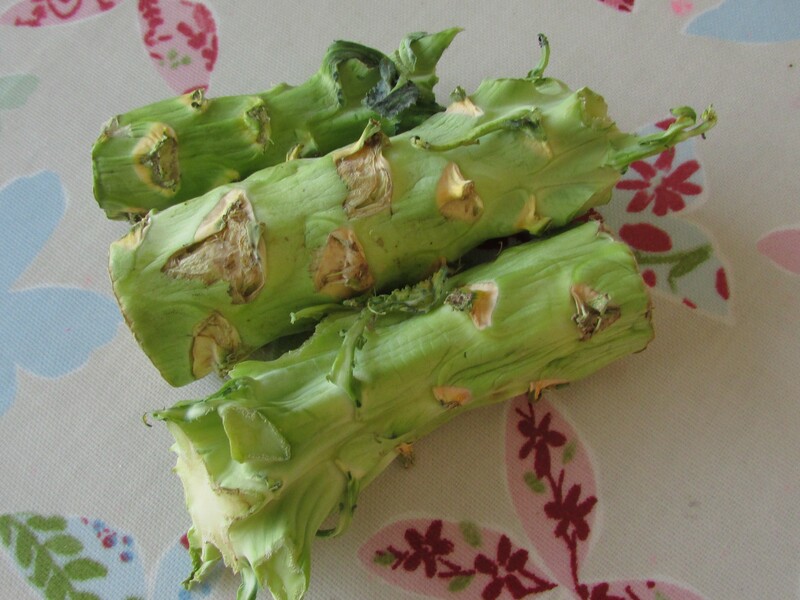 Ever thought what a waste it is to throw away broccoli stems? Well this recipe will change you outlook of your food waste bin for ever! It is phenomenal. Also, for anyone that is gluten free or just wants to be healthy but misses the satisfaction of biting into a pizza this is the recipe for you. I make it frequently for the family and everyone agreed; it’s better than real pizza! Plus broccoli (or cauliflower which works very well too) is high in vitamin C, antioxidants and anti-inflammatory compounds such as Indole-3-carbinol, research suggests that is has cancer and heart protective properties.Furthermore, it’s actually really simple to make. 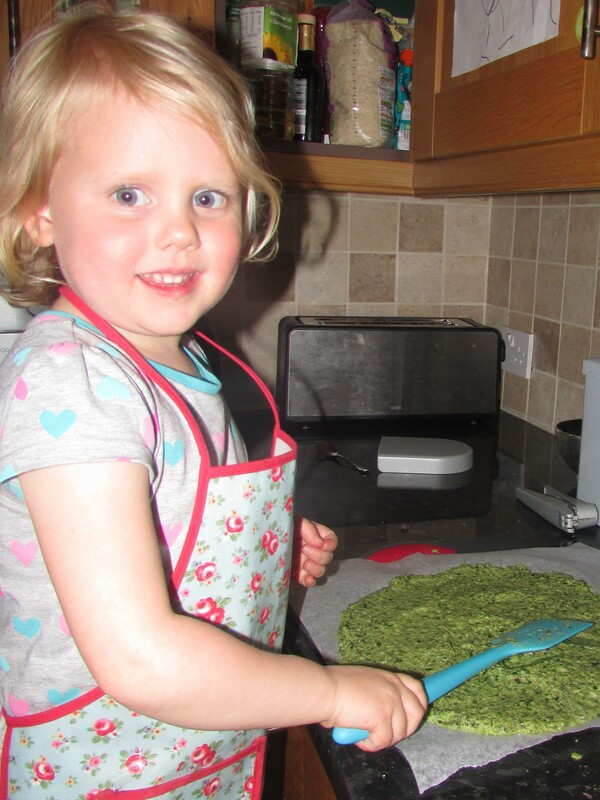 Here’s the recipe – Basically grate 2 or 3 discarded broccoli or/and cauliflower stems then boil the gratings for 5 minutes, drain and squeeze out all the water in a tea towel or muslin/cheese cloth. You want the pulp to be extremely dry so that when it cooks it crisps up. Now mix in one egg and 100g of cream cheese. Divide and press flat onto a baking tray lined with baking paper. Bake for 30 minutes until golden brown. Whilst the pizza base is cooking you could use the time to make a passata tomato sauce with a tin of tomatoes, a clove or garlic, some chopped onion, salt and pepper. 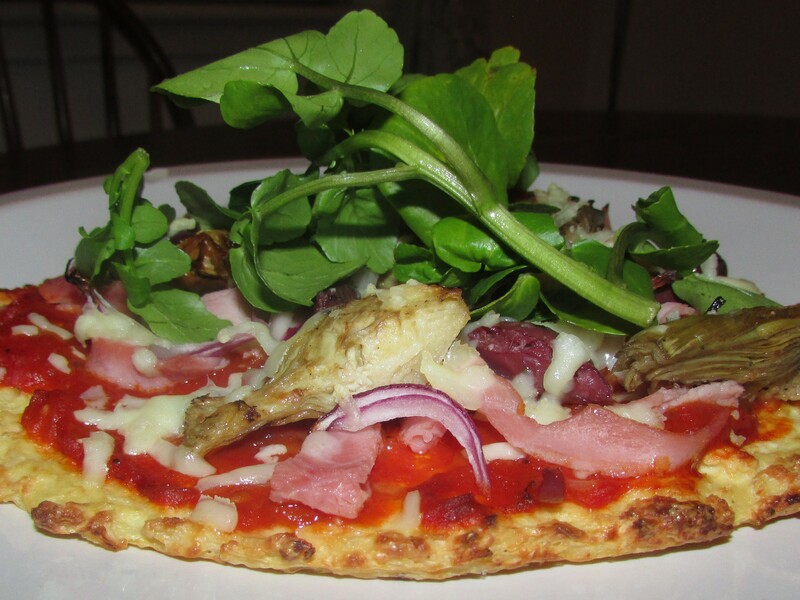 Once the base is cooked and crispy, add the toppings of your choice and bake for a further 10 minutes. Serve with salad. TOP TIP: If you’re a fan of juicing, this would be an excellent way to use up all the discarded vegetable fibre from your juice machine. This entry was posted in Food scrap meals, Frugal Family Meals, Low cost Lunches on March 15, 2015 by carolinementzer. That sounds great Elizabeth, I’d love to join in! Thanks, it is surprisingly yummy! And only about 200 calories per pizza (depending on toppings)!